I received my B.E. from Department of Automation, Tsinghua University in July 2008. 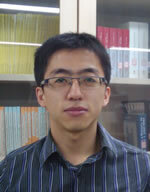 I am now a master student at Peking University, advised by Prof. Zhao and Prof. Zha. In our previous research, a multi-laser sensing system was developed to monitor a traffic scene and obtain the motion trajectory of each moving object that entered the scene (here). 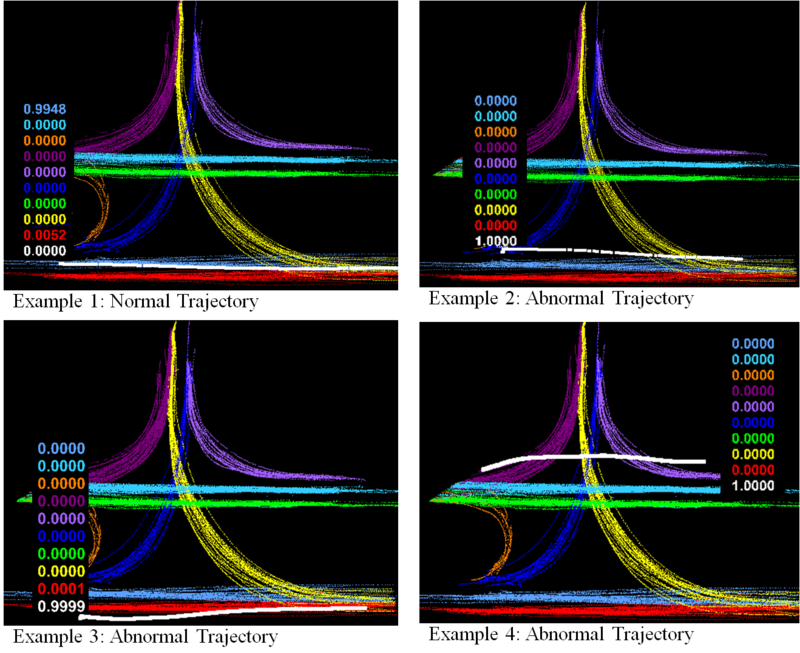 The trajectory data contains multiple dynamic/static parameters (e.g. location, size, speed, direction) of moving object at each time instance. Based on the laser system, we present a method for motion patterns classification and anomaly detection of vehicle passed the intersection. The diagram of our framework is shown below. 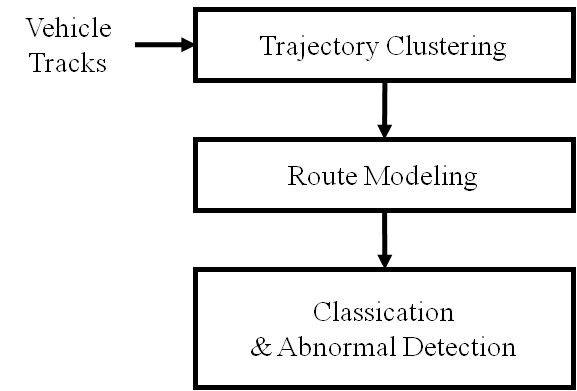 The figure below shows the tracking results in an experiment that was conducted to collect moving object trajectories at an intersection near Peking University. 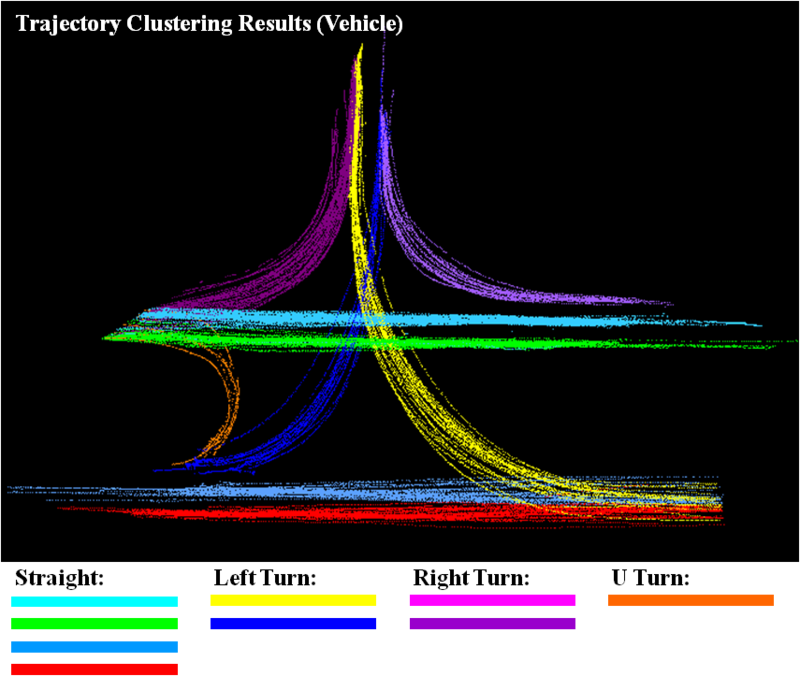 The typical motion patterns of vehicles are generated by trajectory clustering using a modified Euclidian distance as the pair-wise similarities between trajectories. 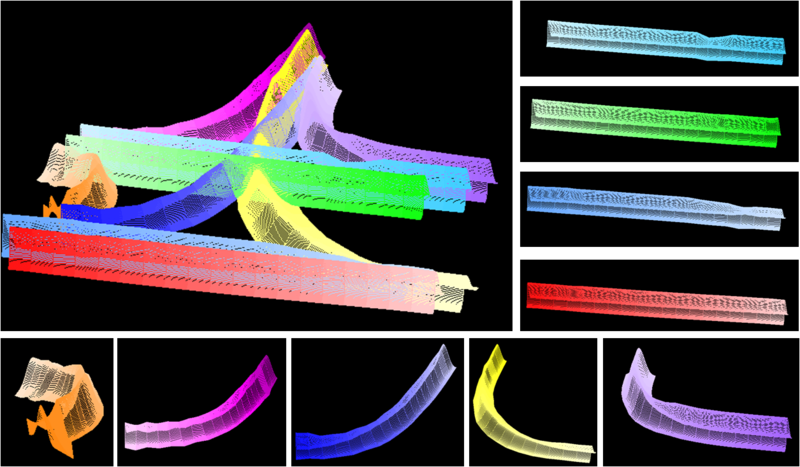 Then route models based on a sequence of Gaussians are built by these motions patterns. Probabilistically Bayesian inferencing is used for behavior classification and abnormal detection. Those vehicles passing the intersection in a normal way could be classified into different routes, and a few special ones could also be detected as abnormal behaviors. To prove the detection results is correct or not, we could check the entire tracking procedure of a vehicle passing the intersection through playback of the raw laser data. The figures above show two real abnormal behaviors because of driving in wrong lane, videos could be downloaded here(1.avi, 2.avi). In contrast, the figure below shows a false detection result by tracking mistake taking two electric bicycles as a vehicle (3.avi). A full version of paper could also be downloaded here for detail of the topic. Wrote an Android app could receive and browse deal information from Groupon-like websites in China. Wrote an Android app for loginning campus network by WIFI from mobile in Peking University.